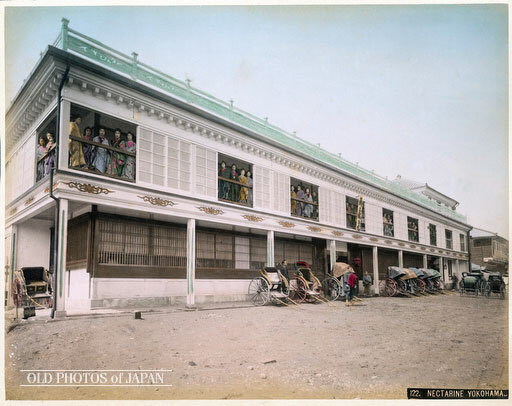 Yokohama was by far the most Western-oriented Japanese city and for some time a particularly lucrative venue for American-run bordellos causing the American authorities in the port no end of headaches. The foreign community was small – the local Japanese Police Department of Kanagawa Prefecture (of which Yokohama was the capital) recorded approximately 6,000 foreigners resident in1903, though nearly 4,000 of these were Chinese with just 527 Americans along with about a thousand Brits, slightly less than 300 Germans, 155 French and a sprinkling of other Europeans. 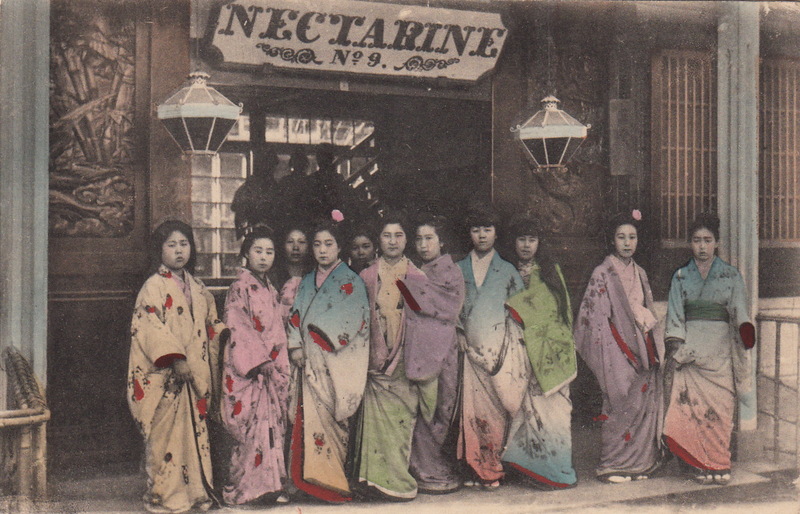 The famous Jimpuro, or Number Nine brothel in Yokohama – also known as the Nectarine which opened in 1872. 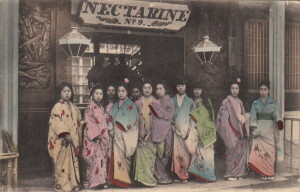 The enterprising Japanese owners also opened a branch catering to foreigners only in the 1890s, run by a madam known to all as Mother Jesus, and targeting them specifically as the invite below shows – the Nectarine was well known enough to get a mention in Rudyard Kipling’s 1893 poem McAndrew’s Hymn.